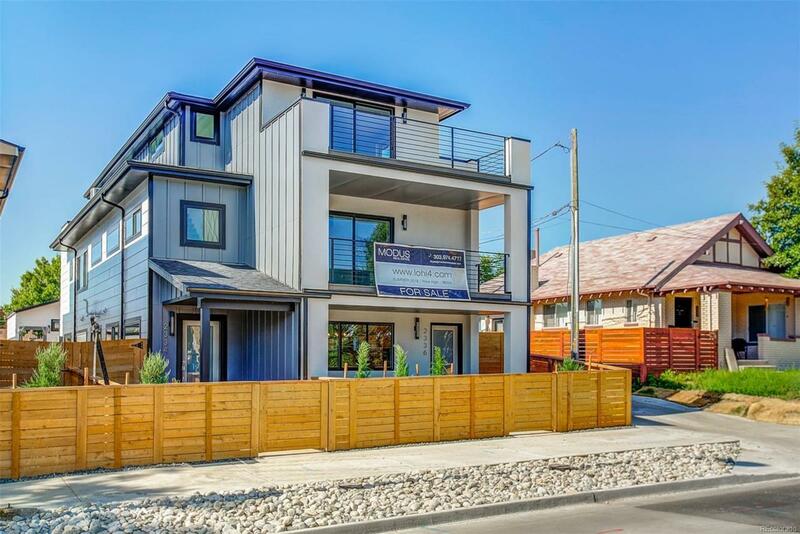 New construction duplex in LoHi (located South of 38th Ave) featuring 3 bedrooms, 3.5 bathrooms, 1,847 finished square feet and detached 2 car garage. Property features; washed grey water proof wood style flooring, white cabinets with quartz countertops, high end eclectic sophisticated lighting, floating cabinets with chrome euro style plumbing. Private fenced front and back yards with covered patios and roof top decks. Third floor has a wet bar and large flex room with perfect for entertaining. Walk 6 blocks to 32nd ave to restaurants, coffee shops and bars! WWW.LOHI4.COM FOR FULL PROPERTY INFORMATION.